One of many questions in the aftermath of the Singapore summit is whether President Trump might seek a similar breakthrough with Iran. The big picture: Such a meeting would be just as unprecedented as the Trump-Kim encounter: No American president has met an Iranian president since the 1979 revolution. 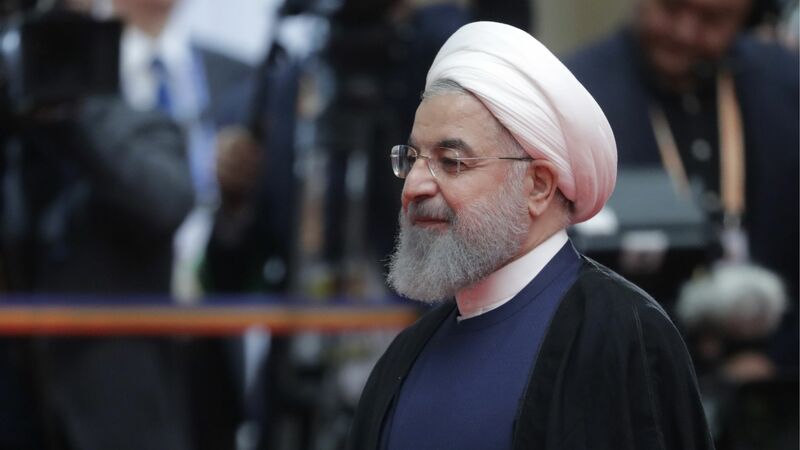 Even President Obama, whose administration negotiated a major nuclear agreement with Iran, was spurned when he sought a handshake with President Hassan Rouhani at the UN. While Secretary of State Pompeo has suggested that the U.S. would be willing to offer “more for more” — an agreement that lifts primary U.S. sanctions and normalizes relations in return for dramatic Iranian policy reversals — the U.S. has no apparent strategy or even personnel devoted to resuming negotiations with the Islamic Republic. It is focused instead on ratcheting up economic pressure on Iran in an apparent effort to force Tehran to also violate the deal. Iran is in no mood for high-level diplomacy with a leader who unilaterally walked out of the Joint Comprehensive Plan of Action (JCPOA), with which Iran was in compliance. Iran is working, instead, to salvage the JCPOA by achieving sanctions workarounds with European and Asian trading partners. U.S. regional allies — in particular Israel, Saudi Arabia and the United Arab Emirates — would be solidly opposed to such a meeting, unlike South Korea and, to a lesser extent, Japan, which had encouraged Trump to meet Kim Jong-un to prevent the outbreak of a war that would devastate Northeast Asia. Iran, unlike North Korea, has no single decision-maker who could match a U.S. president in terms of raw power. Rouhani is not Iran’s commander in chief, merely its chief executive, and even Supreme Leader Ayatollah Ali Khamenei makes decisions through a process of consensus-building among Iran’s political and security elite. The bottom line: U.S.–Iran relations are not amenable to breakthrough by photo op; progress will require painstaking negotiations and confidence-building measures. There is a reason it took the Obama administration several years to achieve the JCPOA. That achievement is not likely to be replicated or improved upon while its destroyer-in-chief remains in office. Barbara Slavin directs the Future of Iran Initiative at the Atlantic Council.